Home Downton Abbey How to watch Downton Abbey episodes in the US? How to watch Downton Abbey episodes in the US? 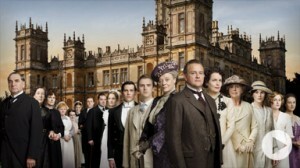 Downton Abbey is a very popular British TV show that has garnered a lot of attention in the US. Season 1 and the recetnly concluded Season 2 introduced America to a great drama TV series that features some of the finest actors like Maggie Smith, Hugh Bonnerville, etc. Whether you heard about Downton Abbey because of the beautiful castle in the backdrop, the various love stories or because of the fine British accent you are bound to enjoy Downton Abbey because of the story and intriguing characters it has to offer. The TV Series injects fresh life into the post-Titanic era of UK and how royal families struggle to cope with the changing political and cultural environment of Europe. Click on the iTunes logo . Browse to the TV Shows section below and search for Downton Abbey in the box at the top-right. You should see a list of categories in the search results. Under TV Seasons, you should see all the Downton Abbey episodes – Downton Abbey Season 1 and Downton Abbey Season 2. The entire Season 1 is available for $9.99 or $1.99 per episode. The 1st episode of Season 1 is available for free to give you a feel for the TV series. Similarly, the entire Season 2 is available for $14.99 or $1.99 per episode. Season 2 has 9 episodes and does not have any free episode available. All the above prices refer to the SD quality of download. The prices for HD episodes are marginally higher. Once you download the Downton Abbey episodes or the season it will automatically download it for you and place all the episodes in the Videos app. You can watch the episodes as and when you like as it will be stored in your iPad app and will not stream it from the internet. So remember to take it with you on your long flight or vacation. You can download the PBS iPad app [link] and gain access all the full-length Downton Abbey episodes. Season 1 is not available through the PBS app. All Season 2 episodes expire on March 6, 2012 after which you will have ot buy the DVD. If you want to view Downton Abbey episodes on your computer or laptop there is an easy way to do so. PBS has a mini-website dedicated to Downton Abbey Fans. Only Season 2 is available as of Feb 21. They don’t have Season 1 full-length Downton Abbey episodes, which means you can buy the DVD to watch Downton Abbey episodes (Season 1). Season 2 Downton Abbey episodes are available in the Watch Online section, but they all expire March 6, 2012 after which you will have to buy the DVD on Amazon. Did you enjoy watching Downton Abbey episodes? Who is your favorite character? Do leave your thoughts below in the Comments section.